According to the United States Department of Health report of July 2004, the digestive diseases rank second among all causes of disability due to illness in the United States. The chronic nature of digestive diseases results in approximately 11 percent of all admissions to general hospitals in the United States and in 15 percent of all surgical procedures performed in this country. CLEAR is dedicated towards improving the quality of tomorrow’s digestive health care both nationally and in the Central California Valley. Our center is involved in conducting translational and clinical or collaborative research relating to a variety of digestive diseases. Some of our projects have recently addressed liver related burning health issues of Latino and Hmong populations. 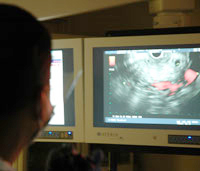 UCSF Fresno has recently become a part of a national study funded by the National Institute of Health. We are working together with several other hospitals as a sub-site center for University of California San Francisco where Dr Sheikh and collaborators are teaming up to research non-alcoholic steatohepatitis (NASH) and the efficacy of a potential new therapy. This joint investigation with the institutions Case Western Reserve University, Duke University Medical Center, Johns Hopkins University, Indiana, St Louis University, University of California San Diego, University of California San Francisco, University of Washington, and Virginia Commonwealth University serves to better understand this disease process in hopes to serve patients with NASH across the country. 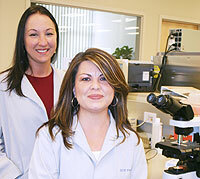 For details on active clinical trial, please contact: Ms. Sonia Garcia at (559) 459-4042.